The Australia Liquid tastes like the colors of the australian flag: Strawberry ✓ with blueberry ✓ and pineapple stars ✓. 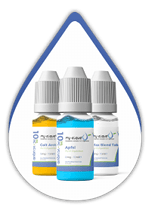 1 x Australia Liquid 50ml 0mg nicotine | Attention: Nicotine shots are not included. A 50ml Shake and Vape Liquid with 0mg nicotine, matching Australia and the colors of the Australian flag. The nicotine content of our eLiquids refers to the milliliter. As a heavy smoker with a small refillable e-cigarette, nicotine strengths between 12mg and 18mg may be an option. The more steam your device produces, the less nicotine your e-Liquid should contain. If you consume less than one pack a day, 6mg should be a good middle course for you. If you are a non-smoker, you should definitely stick to an eLiquid with 0mg nicotine. 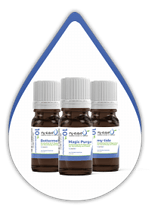 Products in pharmacopoeia quality are used exclusively for the production of e-liquids. Every delivery of raw materials is meticulously checked. Our employees are trained by TÜV Süd. Thus we offer our steamers maximum safety and highest quality. Thanks to our consistent raw material testing and meticulous working methods, quality is not just a buzzword for us, but an experience. Despite first-class products at the highest level, we can keep the prices for our eLiquids in the mid-price segment. Our eCigarette Liquids are TPDII compliant. You have been registered with the EU registry. The batch numbers and BBD of the liquids are printed. Our e-Liquids have an EAN barcode for cash registers and are provided with warning notices. Batch samples of our e-cigarette liquids are regularly analyzed. Our eLiquids are sold with a maximum of 18mg/ml nicotine and in a maximum of 10ml containers. Mix Shake and Vape with nicotine shots. 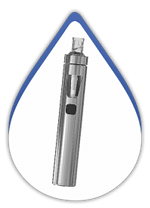 To get the right amount of nicotine you want to vaporize, your Shake and Vape Liquids must be filled up with nicotine shots.